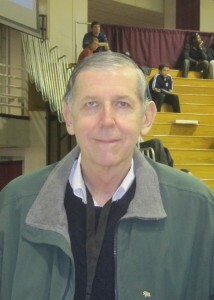 Tom Konchalski has been evaluating high school basketball players for nearly forty years. In a business filled with fly-by-night operations, charlatans, non-athletes, and simpletons, he's the exception. Mr. Konchalski is a disciplined, compassionate, learned man of faith who keeps his eyes open and his ears to the ground. In an age of social media, where a seventeen year-old with a Twitter account can call himself a recruiting analyst, the 6'5" Queens native still utilizes a typewriter for his HSBI Report and sends it via mail to more than two hundred college programs. Author John Feinstein '78 once wrote of the veteran scout that he was the "only honest man in the gym." Unfortunately, it's a fairly apt description of the AAU circuit on many summer nights. Recently, I spoke with my mentor, consigliere, and friend about twelve players who have, at least, received interest from Duke in the classes of 2012, 2013, and 2014. Never prone to hyperbole, the McDonald's All-American voter graciously gave his candid assessments. Rasheed Sulaimon: "He's a very good player. He's athletic and has good size. He has skill. He plays a team game and lets the game normally come to him. 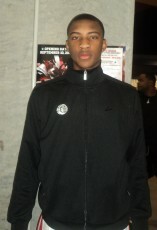 He's a guy who I think is going to be a good team player at Duke. [private] I think he'll be a good system player at Duke and Duke's system fits him quite well. He should become a very good player for them and I don't think he's going to be a player who will be a one or a two years and done for them. He's going to be around for three or four years. You need those kind of players because those are the types of players that Duke has had most success with. Defensively, he has the body, the strength, and the quickness to be a very good defensive player." 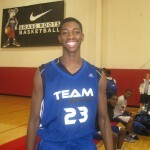 Amile Jefferson: "He's a young colt who's waiting for his body to blossom, but he has a really good feel for the game. Right now, he's probably more of a 4/3 and, obviously, he's going to have get stronger, but, in the ACC, it's not as if he's going to the Big Ten or the Big East, which is even more of a physical conference. In terms of style of play, if he were to go to Duke, that would be a good pick, but he's still got to get stronger in order to be able to play both sides of the court. He's a guy who has some perimeter skills..not an explosive athlete, but, when he starts to working to improve himself physically, his legs will get stronger. He will get quicker and he'll get more lift off the ground. He's a guy who has a good feel for the lane and the baseline. He's almost like an old-time player around the lane. He knows how to finish without going above the rim or jumping over people. He knows how to use his body to get between the defender and the ball. He knows how to shield the ball and reverse it. He has a really good feel for the game and he's a really good kid. He's also a good student." 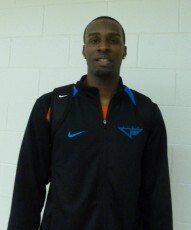 Shabazz Muhammad: "Shabazz Muhammad is a guy who may be the best senior in the country right now. I don't think he has the potential to be a superstar. I think there are other people who may have a higher ceiling, such as guys like Jabari Parker, Nerlens Noel, and Julius Randle. Right now, he just plays so hard. He's high energy, but he has some holes in his game. For example, he never beats you going right. When Mater Dei, for example, beat them in the fifth place game at the City of Palms, Stanley Johnson did a really good job of defending him because he overplayed him to his left. He ended up with thirty anyhow, but most of those came in the second half after they were already down twenty. He's an extraterrestrial athlete and he has great work habits on the floor. He gives you great second effort. He's left-handed, which is an advantage. He can hit some threes off of the catch. He's got to work at getting the ball on the floor and being able to change direction. He's got to build up his right hand, but he's a terrific athlete. He's a guy that when he goes to college, I don't know if he's going to be ready to go to the NBA after one year because he does have these areas of his game that he needs to develop. He's a guy that you'd love to coach. He's a classic coaches' player because he plays so hard, especially for a guy like Coach Krzyzewski that sees in him the kind of effort that he was used to as a player and a coach for Army and in his earlier, lesser talented teams at Duke, where they just showed so much toughness and great effort. I think that was the attraction there." Tony Parker: "Tony Parker is a good player. He's a really good kid. He has good hands. He has good skills. The key thing for him is conditioning. He's lost some weight and he's got to lose some more weight. He's actually in better shape now than he was over the summer, but he's got to lose even more weight and improve his conditioning. I don't think he'll ever be a star, but I think he'll be a very good, solid player and kid who's a good student and I think he probably sees himself as staying around a while and not leaving. He's a four or a five, depending on where he ends up. He can step out and hit a mid-range shot, but he's never going to be a perimeter scorer. God didn't give him that body to shoot jump-shots and play on the perimeter. That body has got to be used inside. What he's got to do is sculpt that body, change his body somewhat, and ultimately use it as a weapon." 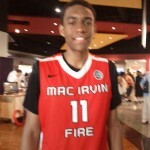 Jabari Parker: "Now, he's a guy, who, since the end of his sophomore season, really did change his body type. He shed a lot of that baby fat. He's gotten quicker. He got a lot more lift off of the ground and he's also improved his perimeter skills. He's become a pretty good three-point shooter. The one thing that I haven't seen with him… and I'm looking forward to seeing more of him this summer.. is that I'm not sure if he has the disposition to dominate a game, although, maybe… when he was younger, he was looking to simply defer to his upperclassmen. He's got to become a little bit more assertive. In big games, he's got to learn to take over games, which I think is a learning process for him. That said, if you want to talk about guy that has athleticism, a good feel for the game, plays the game the right way, and has a really good skill set for his size, he certainly is one of the best players in the country, regardless of class. When I saw him at the Peach Jam, for example, he showed certain things, but I think a lot of it has to do with his personality. He wants to defer to the older players somewhat. He doesn't want to try to take over completely. He hasn't become a prolific scorer in the Chicago Public League just yet, but there are a lot of weapons on his Simeon team so I don't think you're going to see him average twenty-five or thirty points. He does, however, need to come up big for them in their biggest games. With his size, athleticism, and skill set, he's got to be even more of a factor for them. Right now, I don't know that he quite realizes how good he is and can be. Everybody says that he's a very humble, grounded kid, but he may not realize just how good he is." 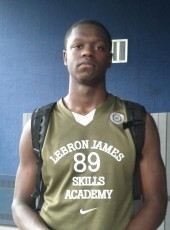 Julius Randle: "I'll tell you what... he was spectacular down at the City of Palms. Against Riverside (Riverside Academy of Louisiana), I thought he was bothered by the size and I thought he tried to initiate too much of his offense, after he was bothered by the size of Riverside in the first half. In the second half, I think he played too much on the perimeter to try to counter them. Now, here is a guy that has a Wayman Tisdale body, he's left-handed, and he can shoot the ball. He's actually strong with his dribble. He can take the dribble through traffic. He has a tremendously high ceiling. He could be a great, great player. I really like him." 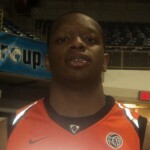 BeeJay Anya: "BeeJay Anya, as Coach Jones mentioned, is in so much better shape. He said that when he got cut from the USA basketball team that it really was a wakeup call to him. He took it to heart and became dedicated to improving himself physically. He trimmed down, lost weight, improved his conditioning, and just got in better overall shape. Right now, he's so much more active. He runs the floor more consistently. He can stay in the game for longer stretches. He has more range rebounding-wise. Before, his rebounding range was his arm length, which is considerable (astonishing 7'9" wingspan), but now he can really go out of his area and grab some rebounds for his team. His offense has gotten better too, but I think he's just so strong. As you know, he's retained his strength and he knows how to use his body and you saw the difference. He's a man-child. He improves and he keeps on working. The thing that you notice about the DeMatha kids, you know, Morgan Wooten isn't the coach there, but one of his disciples is and they've retained the same work ethic. Also, it's the same character that you're finding with their kids. They have good kids. They have talented players, but, if they're not good kids, they're going to get them out of there. 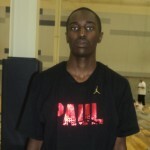 Theo Pinson: "Long, 6'5" to 6'6," he played with CP3. He's very thin, but a skilled player. He's a young guy, who was 6'5" to 6'6," who can handle the ball and shoot the ball with range. He looks like a fine prospect, but I want to see more of him. 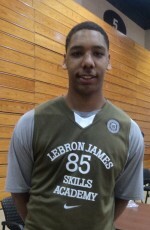 Jahlil Okafor: "He's a big, strong post player inside. Because Thomas Hamilton tore his meniscus, there was more responsibility put on him. He's a terrific kid, very friendly, very smart. That's a good school. That's probably the best public high school in the Chicago system academically. He's a big, strong kid inside who doesn't try to be something he's not. He doesn't try to be a perimeter wannabe. He recognizes and utilizes his strengths. That's a valuable thing. He's not a 6'10" kid who wants to go outside, loft up threes, and show that he can dribble the ball or change direction with the ball. He knows what he is. He's a power player inside. Ben Franklin said that there are three things hard in life: steel, a diamond, and to know one's self. I guess he's read Ben Franklin." Wayne Selden: "First of all, when you look at him, he has a man's body. He's a sophomore, but he should be a junior. So, he's a reclassified kid. When he goes to college, there's not going to be any physical adjustment that he's going to have to make when he gets there, which is an advantage. Even when you look at the guys who go from college basketball to the pros, the guys who give you the most instant impact are those that have already prepared their bodies for the next level. The two kids who went straight from high school to the pros who had the most instant impact and who wound up earning Rookie of the Year in their respective years, 2003 and 2004, were Stoudamire and LeBron James. They entered the league with NBA bodies. Well, he's got a college body, right now. He's a strong, tough physical kid, who's also very nice kid. His skill level has really improved. When I first saw him, which was the summer before his freshman year, he was more like a 6'4" power forward, but he has been able to develop his game and learned how to handle the ball, while keeping that physical mentality. They let him bring the ball up the court and sometimes play a little point guard, but he doesn't see the court like a point guard and he's certainly not a point guard. He can, however, handle the ball, get to the basket, and shoot threes. In terms of his shot selection, he can sometimes put up poor shots, but, overall, that's improved as well. He's a guy who has great physical ability and he's a guy who has elevated his skill level. The next thing is for him to further understand the game, but he'll probably end up as a big two guard or a big combination guard. Once again, he's a very nice kid. He's also a terrific prospect." Stanley Johnson: " He's a good basketball player, but a terrific teammate. He plays in a program where there's a lot of players and there's a system. I don't know if he'll ever be a star, but he knows how to play the game and he plays both ends of the floor. He's their designated defender and he can defend multiple positions. He's the guy who defend Shabazz Muhammad very well in the City of Palms and he defended Isaiah Austin, I believe, for several stretches in their prior game against Grace Prep. He's a strong, physical kid, who's about 6'6," who's not a great athlete, but he knows how to use his strength and his shot discipline is very impressive. He takes shots that he knows he can hit. He'll take an occasional three. He's not going to create off of the dribble or anything like that, but he's also not going to try to. He generally lets the game come to him. He's a very good team player and system player. They play a lot of people. They're like the Noah's Ark of basketball programs. They've got two of everything, (laughs) but he stays on the floor most of the time because he offers them a lot on both ends. He can handle the ball, defend the opposition's best player, and just really seems like a good teammate and a terrific kid." 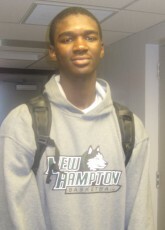 Noah Vonleh: "He's a big, 6'8" kid with good skill. He can guard pretty well and he's also a versatile defender. He gets down in his stance pretty well. I think he wants to be a perimeter player. I think he needs to use his strength and size a little more than he tens to do right now. He seems very coachable. He's very athletic and has a good body. He has good skill for his size. Right now, he's not a small forward and I think he's got to realize that. His game has probably got to start a little more inside. He's got to get a little more developed. He's a guy that eventually with his size and, if he can develop his skill set, might become a three, but he's got to develop his game. He's another kid who should be a junior, but he'd, at least, be a young junior. He'll graduate at eighteen, whereas, before he would've graduated at seventeen. He's certainly one of the best players in that class." Overall thoughts on the 2013 class: "Well, before, there were those three big three and there were the Harrison twins who are very close behind. Those twins will be very good. You like Andrew (Harrison) more, which is appropriate and fits in with today's Gospel (laughs). I think those three have more upside than anyone that was in this class. The seniors in this class…I'm just, well, I think that Shabazz and Kyle Anderson were probably the two best seniors in this class. They're very good players. Kyle, from the neck on up, is the best high school player in his class, but, from the neck on down, he just is not. Those three, however, can be really stars at the college level and they can be stars at the pro level. They have so much physical ability and they have skill." On whether Jabari Parker and Julius Randle could play together: "Jabari can play with him. Randle is a four/five, with, for example, more perimeter skill than Nerlens. They could be interchangeable. The thing that I don't know is that, with the transcendent talents that they are, I don't know if any of them would want to share the spotlight, with the way kids think right now. That said, if two of them went to the same college and stayed for more than one year, that's a national championship team. If they stay together for one year, that still may be a national championship caliber team. Who knows?" 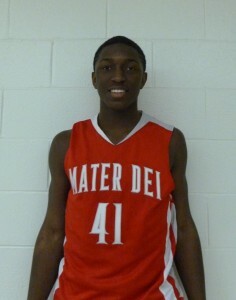 Stanley Johnson, a 6'6" wing from Mater Dei, has experienced quite a bit in the past year. As a freshman, the Fullerton native helped the Monarchs of Mater Dei win their eighth state title, grabbing fifteen rebounds in the state title game against De La Salle. Johnson was named a MaxPreps Freshman All-American. 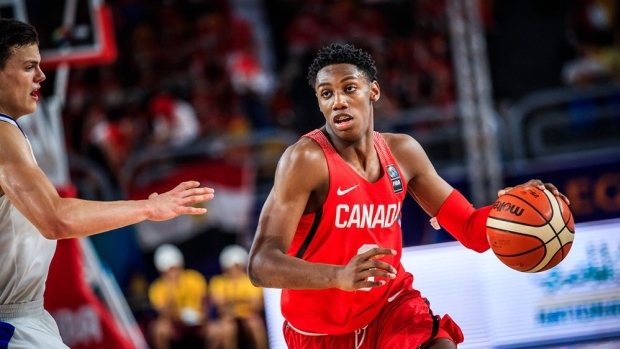 Last June, Stanley was expected to give a defensive presence to the USA U-16 team as they competed for the FIBA Americas U-16 Championship in Mexico. Although Johnson was the youngest member of the USA U-16 team, he wound up starting the first two games in Cancun, against Brazil and Argentina, respectively, before suffering a fracture-dislocation of his left index finger at 4:03 of the first quarter of the second game, which eliminated his ability to play for the remainder of the tournament. Despite the injury, the 2014 prospect enjoyed representing his country, his time with his eleven teammates, including roommate and friend Tyus Jones, and scored fourteen points in the opening game against Brazil. The youngest of five, Johnson gets some of his pedigree and tutelage from his mother, Karen Taylor, who was able to play both forward positions at Jackson State and professionally in France. He wears the number 41 in honor of her, believing that four plus one means grace. 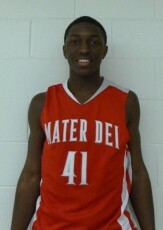 Last month, Stanley, a sophomore, was tasked by Mater Dei head coach Gary McKnight with guarding Duke 2012 recruit, Shabazz Muhammad, at the City of Palms in Ft. Myers, FL. Johnson held arguably the most explosive scorer in the 2012 class to two first-half points by forcing him to use his right hand. This Monday at the HoopHall Classic at Springfield College, he overcame a sub-par shooting night (3/10 FG) to contribute a team-high fifteen rebounds and nine points, while utilizing his athleticism and physical play to employ solid defense on Christ The King. The night before he won the 2012 Hoop Hall Slam Dunk Contest with an explosive dunk off of a pass out of the bleachers from his senior teammate Katin Reinhardt. Stanley Johnson spoke afterwards with Blue Devil Nation about a variety of issues, including his experience with USA Basketball, his mother's influence, Duke's recent interest, defending Austin Rivers, and being labeled a team player. Talk about the game today. It was a really good win for the team. We had a lot of guys get into the game, which is always good. We played really hard and I think it was one of the best games we played this season... and it showed on the scoreboard. I think if we keep playing like we did today, we’ll be pretty good. Well, you guys play a pretty competitive schedule. Playing a competitive schedule makes you play harder because you have the ability to lose at any time. Our coach says that he’s going to schedule us in these competitive games because we play harder in these harder games and he wants to challenge us. I guess the long-term benefits would be success in the state playoffs. That’s what you guys are going for. Yeah, the long-term goals are the state playoffs and trying to win another state title, where we’ll hopefully be more used to the physical and tough competition than the opposition will be. That's the game plan. My strengths are getting to the basket and just playing with physical play. I try to be a bit physical out there. My weaknesses are my jump-shot and my ball security. I’ve got to work on that a little bit more. And do you work on that in the off-season? I work on that all of the time. I do it through the season, all twelve months of the year. You always can get better and so I want to try to get better at everything. In terms of emulating players, is there a guy you try to model your game after? I like LeBron because he does a lot of everything. He scores, defends, rebounds, and can pass the ball well too. He gets a lot of triple-doubles. And you have a few more years of potential growth. Do you like his style? Yeah, I like him because he puts up high numbers. I just like how he can do everything out there. I like that. I want to be an all-around player. Which schools are after you right now? The whole Pac-Twelve, Kentucky, Duke, Auburn, Texas, Kansas, Kansas State, all of the above. All of the schools I’m very interested in. There are so many schools, I wouldn’t want to leave anyone out, but those are most of them. How does it break down in terms of those with formal offers and those who have shown serious interest? Well, I have a lot of offers on the table. I haven’t gotten a chance to go out to colleges and stuff because I’ve been busy with school. I haven’t gotten a chance to get out, but I’m going to try to get out soon, as soon as I can. Are you planning on doing some visits in the off-season? Well, between the AAU season and the high school season..
I’ll be trying to visit a lot of colleges and stuff cause that’s when I’ll get a chance. I’ll have my really off period. Are you a good student? Because you’re articulate, I didn’t know. Yeah, I’ve got between a 3.3 and a 3.4. I try to do well in school, but, yeah, during the off season I’m going to try to visit schools. In terms of a timeline, are you in a rush to decide? Oh, no, I’m not rushing this at all. I feel like I just want to go through this once. I don’t want to rush this decision because I don’t think anything good comes from rushing a decision. I feel like my recruiting process is just getting started. I want to make sure that everything is even, make sure I really want that school. I don't want to go through the process more than once. What will you be looking for whenever you do decide? Oh, well, I live in California, so I like that home feeling of California. My high school coach is awesome. I’d like to have that kind of feeling. He's built quite a powerhouse at Mater Dei. Yeah, they accept me. They like the way I am. They’re cool with me. Yeah, they embrace me. So I want that, and I just want it to be good. A good offense and a good defense. What style of play do you prefer? I really rarely get to see you during the high school season, but I've seen you at camps and in AAU basketball. Do you prefer an up-pace tempo or one that employs more half-court sets? I like fast-paced, but I can play the half-court system. You know, as a team, we try to do both things and so I feel comfortable in either system. You're just trying to win the game, whatever it takes. Yeah, whatever it takes to win the game. Who’s the toughest player you’ve faced so far? 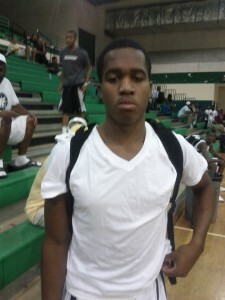 Yeah, I had to guard him last year at the City of Palms. He was an absolute killer. This gentleman that I respect was telling me that you did a tremendous job of guarding Shabazz Muhammad this year. Oh, Shabazz. I guarded him pretty well. I think he only had like 16 on me for the whole game, but then I came out in the middle of the fourth quarter and he got some points at the end. But Shabazz, he’s really good. He’s strong left-handed and his right is alright, so my coaches were telling me to stay on his right. "Just stay on his right." Make sure he goes right and then I just got the opportunity. I mean, he’s my size. He’s got my athletic ability, so I tried to make him go right every time. I tried to slow him down a little bit and then when I came out of the game, he got some more points. Sort of on the same topic, but how would you assess your defense at this time in general? And can you go back to that matchup with Austin one more time? Austin could do everything, I mean, I couldn’t find a weakness with him. I played him left and he hit a floater off of me. I played him off and he hit a jumper over me. I played him tightly and he drove right by me. He hit the mid-range. He was doing everything. Speaking of Austin, what's Duke’s interest level in you and what do you know about the program? I know that the program is known for winning and that’s what I like to do so that right there is automatic interest. I heard Coach K is a really good coach. I see them on TV all of the time. I want to step into a good situation. I don’t want to step into some easy situation and I don’t think they’d expect it. I see them recruiting high level players all of the time. I don’t want to step into an easy situation, I want to step into a situation where I’m going to have to work. I don’t want to walk into a place where I automatically get a starting position, I want to have to work for it. I know Coach K will give me no slack. I know he won’t give me anything and I like that. Some guys want guaranteed early playing time. Yeah, some guys just want to step into an easy situation, but that’s not me. I want to work for it, I don’t need any guarantees. And can you talk about the interest that they’ve shown in you so far? Yeah, I mean, I’ve gotten letters from them. Yeah, I’ve gotten letters from him and I’ve called them a couple of times. He’s always telling me, when you’re ready, I’m ready. So, I mean, that’s really it, really. That’s where we’re at. What was your experience like trying out and ultimately winning a gold medal with USA Basketball? USA was a different challenge because there were eleven other guys on the team that could do whatever. I mean, they’re the top eleven guys. It was great to play with guys like Jabari (Parker) and Tyus (Jones). So I had to come in the game and do other things like hustle things. But I ended up starting, that was fun. I got hurt the second game, so I didn’t get a chance to play in the championship game, but it was fun. But when I was playing, I really got along with the players. Who did you get along with best on the team? Probably Tyus... he was my roommate. Tyus and Kendrick (Nunn), they’re pretty funny guys. In terms of position, I put down that you could either be a three or a two, depending on how you develop. What do you feel is your best position? I like to think of myself as a three, but I can play the two. Well, if you like LeBron, you gotta learn to play the three. (laughs) Yeah, I like to play inside a lot, I like to play in the low-post, and I like to use my body for rebounds. I like to use my body against smaller defenders on the low-post. When I go against bigger defenders, I like to face-up and just shoot right over them. I like to be able to do both things and I try to work on both. Your mother played at Jackson State. Can you talk about her influence on you with the game? My mother, she really knows the game, so when I was growing up, I had a coach in my house so I didn’t really have to go far to ask for questions. So that’s definitely an advantage that you had. Yeah, definitely. She got me right from the beginning with a ball in my hand because she was a European player as well. It happened prior to the WNBA. Yeah, because there was no WNBA at the time. That’s impressive. Now, what position was she? She was a three and a four. She was able to play inside and out. So, she really does know where you should be. (laughs) Yeah, she doesn’t let me get away with anything. You can’t get by on her. What would you like people to know about you away from the court? I’m really goofy. If you ask any of my teammates, I’m always laughing. I’m always making jokes. There’s really no dull moment around me. So, you like to keep people entertained? I heard you visited New York yesterday and I’m not sure if you visited the Hall of Fame, but if so, can you talk about those two experiences? We actually went all around town. We went to St. John’s for a little bit. I saw the campus and I got to play a little bit on the courts there. That was really cool. That was fun, but we only got to spend one night there. It was quick. I’m from NY so I was interested where you went. I'm sure Coach Lavin was happy to let you guys use their facilities. Someone was describing you as being a really good "team-player" because for certain teams, you bring defense, other teams you bring scoring, you really bring whatever is needed. Do you feel that’s a good description? Tonight, unfortunately but obviously, nothing was falling for me. So, I just tried to do whatever I could. Well, you were three for ten from the field tonight, but you had fifteen rebounds and played good defense. I feel like could play with a lot of players because I feel like I can bring it, especially with the USA team I have a different role than I do with the Oakland Soldiers. So, you’re very comfortable with different roles, wearing different hats? I feel like I can rebound. I'll grab the ball when the shot’s not falling. I can get steals. I feel like I can play with great players, not-so-great players, and just high school players. I heard you picked 41 because you wanted to pick 5 for your mother but that number was taken this year and that you wanted to pick 5 because not only was it your mother’s number, but it also meant grace. Are you going to switch to that next year when it becomes available? Yeah, my mom told me four plus one means grace. So, my Mom, well, she’s a minister. I’m a Christian and so I believe in God. I believe in all the things about Christianity..the number 5 and the number 7, things like that. It’s encouraging to think that I have grace. I hadn’t heard that before. When I was trying to do research on you, it was unusual. Thank you very much. 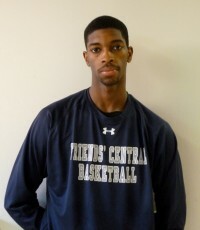 Amile Jefferson is a versatile, cerebral Philadelphia forward with a decision that is day-to-day. That decision has been heightened by the fact that the current accelerated recruiting process leaves, as early as mid-January, a very limited number of high-caliber forwards currently available. At 6'7" and blessed with enough athleticism, skill, and quality grades that he can legitimately be recruited by any college in the nation, Jefferson has been on Duke's radar for several years. Before his sophomore year at Friends' Central, a Quaker school in Wynnewood, PA, Amile was one of two rising sophomores who attended Duke's Elite Camp. In the autumn of his junior year, Amile watched Duke unveil its fourth National Championship banner at the Countdown to Craziness. Recently, Blue Devils Coaches Krzyzewski and Collins have heated up their recruiting level from a courtship to a passionate pursuit, flying up to watch him play in person this past week. After a tough triple-overtime loss to the Westtown School, Amile tried to lead his undersized Friends' Central team to a victory over Saint Mark's, a Massachusetts boarding school featuring 7' Kaleb Tarczewski, an Arizona commitment, and 6'5" wing Nik Stauskas, a Michigan signee. The normally efficient Jefferson was effected by getting routinely double and triple-teamed as soon as he caught the ball, primarily by the help defense of Tarczewski. Amile finished 6 of 14 from the field for fourteen points, grabbed five defensive rebounds, and had two assists in the 67-57 defeat at the hands of St. Mark's. Following the game, amongst other things, Amile talked about how the team will look to rebound for its playoff run as he seeks his fourth consecutive state title, his imminent decision of college matriculation, the word "potential," the Blue Devils' pursuit, and the commonality between Friends and Duke University. What are most schools recruiting you as? A pure four or one that can play both the four and the three? I think most schools are recruiting me for my versatility of being able to play the three and the four. I don't mind banging inside, but, at the same time, I feel like I have the skill set to be able to step out and either hit that mid-range jump shot or take a player off of the dribble. How (in depth one on one interview with Amile ahead for members! Join BDN Premium today and be in the know.) [private] has your senior year gone overall so far? My senior season has been pretty good. At this point, I don't think we're quite where we want to be, but…we're 9 and 4 so far. Well, you've played a competitive schedule. We have played a tough schedule and we've lost our last three, which has really been tough on us. Guys, who have there since freshman year, aren't used to it. We usually end the season 21-3 or 22-3 or something like that and, so, to drop three straight has been tough, but we've got to fight through this. This is what makes or brakes seasons. These next couple of games are going to be big. What have you and your teammates gained out of playing in these showcase events like this and the City of Palms? Oh, I think they've been great experiences. We've been able to measure ourselves against some of the best teams in the country and they've been learning experiences too. We've been able to face huge, powerhouse schools that..
You can use these experiences down the stretch in the playoffs. Absolutely, you know we can translate that directly into our league and league play. When you come out of a game like this, you have to able to use it in a Friends League game, where it'll definitely be easier. We've touched on the timeline, but what are some of things that you are looking for or have been looking for in your recruiting process? Just somewhere where I'm going to be comfortable on and off the court, where I can develop my skill set, and, you know, where I trust the coaches and the environment. Things like that. Can you describe your game for those that haven't seen you play or haven't seen you play lately? I'm real wiry right now. I can do a lot of things with the ball, but really whatever the team needs me to do. I can rebound, pass, you know, I just try to be an all-around basketball player. What would you say is your greatest strength? Your versatility? Definitely. I try to be multifaceted so that I can do different things at different times. One of the words that I think is appropriate or fair to use to describe you is cerebral. What advantages are there in, for lack of a better phrase, being able to outthink your opponent? Yeah, there are definitely advantages because it is definitely a mental game too. You know being able to know when to make reads or make cuts…to know if your guy wants to go left or right, and like you said before, you know the angles of the game. It's important to know where to be or think about where is the shot going to come from off the rim. Things like that are definitely big parts of the game. Those are definitely advantages for you. Another word often in articles used to describe you is "potential." What do you feel they mean and what are your thoughts when you read that? I definitely have a lot of things to work on and, I mean, I definitely have to get bigger and stronger. That's what I'm really looking forward to when my body fills out. You know being able to get that muscle to be able to protect or be able to play at that high level for a longer period of time. You know also getting more explosive and things like that. Speaking about your strength and conditioning, I've seen you play since you were a freshmen and you have gotten bigger, but can you talk about what you've done so far and what you hope to get out of having access to a full, college-level strength and conditioning program and facilities. Absolutely, I mean I do pretty much no lifting right now and haven't ever done much lifting. So, for me, to start lifting is going to be a big adjustment and I think a big step up in my game. That's where I think you're going to take your game to the next level. Yeah, I think the biggest aspect of me developing as a player is right after I get out of school in June me getting down, I mean, going to whatever school I go to and just putting two-a-days in and getting bigger and refining my body for whatever way it needs to be. How about Muscle Milk or protein drinks? Do you take any of that stuff right now? No, I do not now. What are the most difficult guys for you to guard? Athletic? Strong? This guy was huge (7' Kaleb Tarczewski). Yeah, I guess bigger, stronger guys are definitely a tough guard just because my body isn't really there yet, but seven footers are always going to be tough to guard. And when he's actually hitting his baby hook, you're dead. Yeah, that was just frustrating to try to defend. That's a killer. Do you work more on your low post moves or on your face-up game? Right now, I've been working on my face-up game. I'm really trying to work on attacking the basket, working on shooting off of one dribble…then off of two dribbles…and just taking it to the cup. That's one area that you looked much more comfortable in. You look much more comfortable dribbling the ball in either the open court or the half-court. It's been tough, but I feel like I have to learn how to be more efficient with my dribbles and things like that with the ball. Can you talk about Duke's recent involvement and speaking with Coach K and Coach Collins? Duke is definitely a great school and so I definitely have to take a close look at them. Coach K is a great guy and Coach Collins is a great guy. I've enjoyed talking with both of them and it's just been great and I look forward to learning more about the school. You had gone to the Countdown to Craziness last year and to their Elite Camp two years ago. Yeah, absolutely, I went down there two years ago and I got to see the school pretty good. I'm real eager and excited to learn more about the program. How does it compare to Friends Central? Is it similar in terms of academics, campus, etc.? I guess you could see some similarities, you know. Both being schools that are academically challenging and athletically challenging. Really good in all walks of life. I saw that the average SAT score for kids coming out of Friends is north of 1300 these days. Yeah, we're definitely a rough academic school, but it prepares you for college and so that's important. Absolutely, college might be even easier by comparison. Did you visit the Hall of Fame and, if so, what were your impressions? We did and I had visited the Hall of Fame before..so this is actually my second time seeing it. It was good to see some of the additions and also things I missed before. Who are some of your favorites, either in the past or currently playing? I love Kobe Bryant and, so to see that new USA part was just great. I haven't had to chance to see it yet. Oh, it's just great. It's very well done. I love to see all the old legends. You know they've got this great picture of Wilt Chamberlain when he was in Philadelphia. That's a classic picture. What about your goals, team-wise and individually, the rest of the way? Do you want to be a McDonald's All-American? I assume win a state title. I just want to concentrate on first winning our league and then states again. We've won states for the last three years. I mean it's literally been every year that I've been in high school so we want to keep fighting to keep that streak alive. Who was that massive guy that you had when you were younger, Dom Morris? Didn't he wind up going to BU? Yeah, he was massive, a really wide, big guy, and made my job a lot easier (laughs). He did wind up going to BU. You were actually like the second or even third option on those earlier teams. Yeah, I know. It was good, though, because now guys just frankly kind of key on me, but if we could win states this year that would be all I'd need. I just want to go out with a state title. Thank you very much, Amile. What happened out there today? It's our third loss in a row. We've got to bounce back and just keep fighting. They're a very good team. We tried to go small and outrun them, but it unfortunately didn't work. All credit to them. You know, Kaleb is a big body and he's tough to fight with. The kid number twenty-one was very good too. They played tremendously as a team and it's a tough loss. You've played against a lot of good big guys. How does Kaleb rank against those guys? Oh, he ranks up there with all of them. Especially with me being a little bit undersized against him and, you know, playing centers, it's tough to really fight with them. You know with Kaleb…he's got great hands and he uses his body well to post deep and he's just definitely a quality big guy. Defensively, is he in Nerlens (Noel)'s league? Probably not, right? Not, well, I mean they both played me similarly. They guarded one of our other players and then helped off a lot. They put a smaller player on me so that anytime I drove, they could help ball. So, it was tough to get past a small one and then deal with an athletic seven footer every time you try to put up a shot. We needed our guys to get shots and I think we did a good job out there, but they just beat us out there and their size was a real factor. Talk to us about the recruiting process. How is that going for you? It's going good. It's getting close. I'm still looking at Nova, Ohio State, NC State, Kentucky, and Duke. We're going to see how that goes and how that turns out. I can tell you that I'm ready to get this over with. Is it wearing on you? Yeah, a little bit, definitely. You get pressure on you from fans and, you know, the time for being courted is really over now. You know everyone wants you to make a decision. There's a lot of pressure, but you've gotta just keep getting better everyday and keep fighting. How about Duke's recruitment? It seems like they're the new school in your recruitment. It seems like they kinda just jumped in. No, well, actually Duke was always a school that I was looking at and had interest in, but they felt that they had some players at my position and, next year, they don't have them. It's been great talking to Coach K and, with a program like that, you always give them a good look and get a closer look. You need to take a very close look at a program like that because you know that they are going to be able to compete for national championships and you'll be able to play alongside some of the top players. Do you have a timeline for when you want to make a decision by? I don't, but I'm hoping that it's soon. You know I think it's day to-day. I'm waiting to have big talk with my father. You know I've been traveling a lot and he's been working a lot. So, once we really sit down and give all of those coaches one last call, I think we'll be able to come to some type of a decision. Do you think that you'll be taking any more visits? How many of your officials did you take? So, have you been down to Duke unofficially? I've been down to Duke twice unofficially, but not my junior year. My last time I went down there was during my sophomore year. Does that hurt them at all? 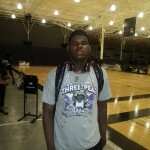 When it comes to big physical big men in the 2012 high school recruiting class, not many are bigger and stronger than Georgia big man Tony Parker. Parker has long been on the Blue Devils wish list for 2012 recruits to try and get that bruising cog to man the middle. Parker, who stands 6’9 and 260lbs, has had the Blue Devils high on his list for as long as many remember. However, many Duke fans are struggling to fully emerge themselves into the twisting and turning of Parker’s recruitment. In recent interviews Tony hasn’t exactly made glowing comments about Duke, but they haven’t been comments that fans would like to hear. The Duke brass has showed Tony plenty of film on former Blue Devils Elton Brand, Carlos Boozer, and Shelden Williams to display their use of big men and what they can achieve when they commit to play for the storied program. Whether the perception of Duke being a guard school is right or wrong, the Blue Devils have to consistently combat that view to land that low post bruiser that fans have long been clamoring for. 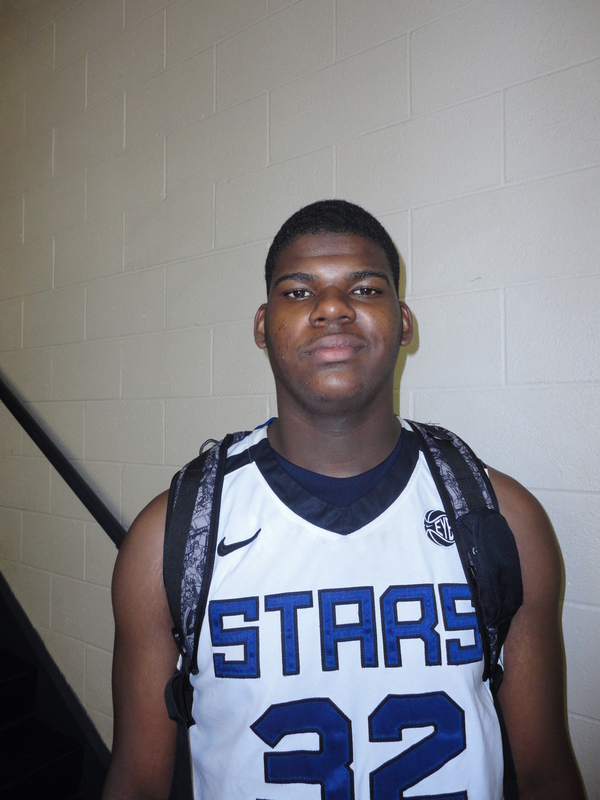 BDN got a chance to briefly speak with the highly touted big man and get some of his thoughts. BDN: How was it playing against the pro’s in the Elite 24? TP: It was good. It was fun. But you know we play against pro’s back home in Atlanta, they’re local pro’s, but playing against pro’s from all over was cool. You know they had top draft picks, it was fun. TP: It was just, you know, their moves are so quick and they’re real controlled. It’s just really playing defense. It’s not about scoring, everybody out here can score, it’s just playing defense. BDN: What’s [private] their advantage that puts them where they are? TP: Obviously you know their bodies, the way they play and how strong they are. How quick they are on their feet, it’s a real big difference. BDN: How does it feel to be selected to the Elite 24? TP: You know it’s a great experience to be selected to the Elite 24. I’m really happy for me and my family to be able to watch me on TV and everybody just coming out to support us is real cool. BDN: Did you have a toughest opponent you played against? 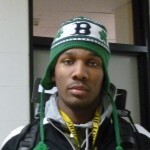 BDN: What official visits will you be taking soon? TP: I should be taking one on September 9th to Ohio State, October 15th to probably either Georgetown or Memphis. BDN: Have you figured out a schedule yet for Duke? TP: I haven’t set that up yet but I’ll probably set that up soon. BDN: Some say you've cooled on Duke. Is that the case for it seems you mention other schools more often these days. BDN: Do you have a front runner? TP: I mean, I like Memphis and Ohio State a lot, but they're all about equal right now. BDN: What are you ultimately looking for when you make your decision? TP: I’m just going to be looking for an all around good school, some place to play, some place where they have a good basketball atmosphere, and a great place to just have fun. A place that has good guys and good coaching. BDN: What is important with concerns with a coach? I just want somebody that has a good track record and gets along with his players. I mean a lot of things will go into my decision but the coach is a big part of it. I want somebody I can talk and relate to. BDN: Are you waiting to see where other prospects go before deciding? This coming year Kasey Hill, a 6'1" Umatilla, Florida scoring point guard, will have a pair of significant additions to his Montverde Academy (FL) program. Kevin Boyle and Dakari Johnsonhave traded New Jersey winters for Floridian humidity. Boyle, who coached Kyrie Irving, the former Blue Devil guard and the NBA's number one overall draft pick, in high school at St. Patrick's (NJ), takes over a Montverde Academy program that finished 22-4 overall and fifteenth in the country last season. Montverde, located about thirty minutes away from Orlando, has two current NBA players, Solomon Alabi and Luc Mbah a Moute, as alumni. Hill, who has been playing varsity basketball since he was a sixth grader at Mount Dora Bible School (FL), demonstrated more of an ability to be a facilitator, while leveraging his natural speed and penetrating ability, for the Florida Rams Black this AAU season. A high point of the rising junior's summer was winning the Adidas Invitational in Indianapolis and being named the tournament's MVP. The born scorer, with a penchant for finishing in traffic, led his Florida Rams Black team with 28 points and orchestrated the program's offense in front of an assortment of college coaches and a national television audience. 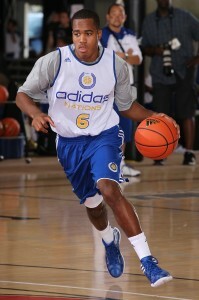 At the Super 64 in Las Vegas, the 2013 point guard played briefly in front of the Duke coaching staff. 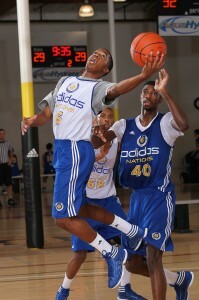 Last weekend, Kasey Hill played in greater Los Angeles, as part of the latest Adidas Nations event. Can you talk about, perhaps, a highlight of your summer, your (MVP) performance at the Addidas Invitational? Touch on how you and your teammates played at that tournament. I did pretty good at the Addidas Invitational, but most importantly, it was a team effort. It wasn’t just me. It was just a lot of good things coming together. How much momentum were you able to carry and how much of that winning mentality that you had earned were you able to bring to the future events? I think it helped a little bit. We should've been able to use that. We have to stay consistent with our defense and use it to motivate ourselves. People are always interested in recruiting. What schools are currently recruiting you? Florida, Memphis, Louisville, Kentucky, USF, Miami, Baylor, Kansas. I'm sure that I'm missing some. Anyone recently coming into the picture? In terms of your overall timeline, is this relatively early for you? Do you view yourself as a scoring point guard? Is that a fair characterization? What do you know about Coach Boyle? He seems like he’s a great guy. I’m excited to play for him. I’ve talked to him on the phone a couple of times. Overall, he seems like a good guy. Oh, yes, sir, he definitely seems excited. Did he give you any advice, in terms of what he’s looking for out of you next year? Not really. He says we’ll sit down and talk about what the team needs when it gets closer to the season. Well, you’ve got a valuable new addition and a very nice kid in Dakari Johnson. Yes, sir. I heard he’s really good. It’ll be great to have a quality big guy out there to take some pressure off of you. Yes, sir,. We’ll be young and improving too. Do you know which national tournaments you will be playing at next year that people might be able to catch you at? I really have no idea. I don’t know that the coaches have made the schedule out so far. For people who haven’t seen you play, what would you say is your greatest strength right now? I’d say penetrating and just getting to the baskets.. my explosiveness. I guess I’d say my strengths are just getting to the basket and now getting my teammates involved. What would you say is a weakness that you’d most like to improve upon? My jumpshot. I’d like to improve upon that. You’ve hit a few threes in several of the tournaments, including the Addidas Invitational, but it’s always good to hear that a player recognizes there’s room for improvement. Is there a player you try to model your game after? Or a favorite player? No, not really. I can’t think of one guy. I was trying to figure out if I could recognize a player whose game is or was similar to yours. What are you looking for ideally, whenever you do decide? Just like a college that fits my game overall and has great coaches. What would you say is your overall game? A penetrating point guard? Yeah, a penetrating point guard and one who wants to get out and run. And who are you turning to for guidance whenever you do decide? Who are some people? My Coach, Jeff Simmons, who’s also my guardian, and my mother and my grandmother. Do you have any visits planned? Did you have any favorite teams growing up? Either college or pro. Where did you actually grow up, by the way? Umatilla, Florida. It’s in, like, Central or North Florida. It's a really small place. That I’m just a really laid-back kid and that I like to have fun. And very active on Twitter, I see. Who’s the best player you’ve played so far? So far, I’d probably say Shabazz Muhummad. I couldn’t believe how good he was when I played him in Georgia. Yeah, he always goes hard. Who are some coaches that you enjoy talking to? Definitely Coach Donovan, Coach Cal, Coach Rick Pitino, Coach Hamilton, Coach Stan Heath, Coach Donnie Jones. When you're playing off the ball, what is your favorite place to catch the ball? Probably on the wing. That is probably my best area. How far out do you feel comfortable shooting the ball? Probably fifteen feet...probably a fifteen foot jumper. What’s the toughest type of player for you to defend? Probably a lefty. Lefties can be tough to deal with. A lefty? And does strength play a factor at all or not too much? No, not really, cause I try to use my speed against them. And how did you choose your school, Montverde? I really just chose it because it was a great academic school. It was supposed to be, like, a great college preparatory school and teach you about life. Do you think Montverde has helped you, long-term, to make decisions and live away from home? Yes, sir...probably more than most normal kids. In some ways, I feel a little more grown up or mature than some other kids. Lastly, has Duke expressed any interest in you so far? No, not really, but North Carolina has... but not a lot recently. What do you know about those two programs? I know that they’re great programs pretty much, well, since they started. And you mentioned before that it was still early. Would you be open to either of them? Yes, sir, I’ll definitely listen. I'd definitely be open to both of them.